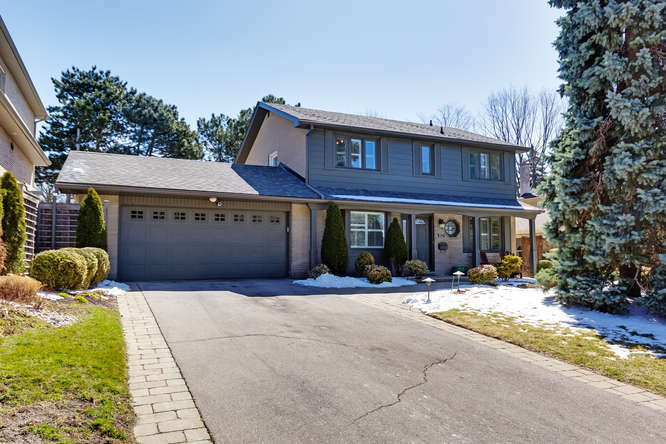 Fabulous 4+1 Executive Home in a Highly Sought After Neighbourhood. Open Concept Living/Dining Area with Gorgeous Gas Fireplace Stone Wall and W/O to Lush Landscaping and Privacy. Main Floor Den/Office w/B/I Desk, Finished Bsmt w/ B/I Bar and Electric Fireplace. I/G Sprinkler System, Security System and Mud Rm w/Direct Access to 2 Car Garage. Great Curb Appeal. For a private showing call Michelle Makos, Royal Heritage Realty Ltd., at 416-300-3004 or 905-831-2222.... or visit www.117Brookbanks.ca to view the Virtual Tour.